What is a citizen to do? Americans are being forced to decide between a modern-day Stalin or a new American Ayatollah. Although appearing as politically opposite, Mitt Romney and Barack Obama are dark mirrored images of each other. On one hand, Barack Obama foolishly endorses crippling socialist values that have already brought down countries in Europe - along with his veiled Muslim beliefs. On the other hand, Mitt Romney (a Temple high priest), is gullible enough to believe Mormon prophecies foretelling that the US Constitution would “hang by a thread,” and an LDS leader would rise to save the nation and turn it into a theocracy - putting his faith in a discredited, false “scripture” - the Book of Mormon! Each candidate has a destructive hidden agenda that could lead America to ruin. What can be done to save America from almost certain economic and spiritual disaster? What are Bible believing Christians to do with such an electoral choice? 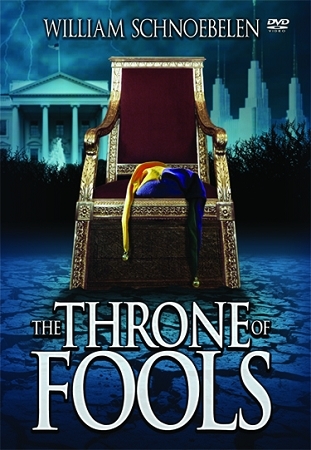 Find answers as Dr. William Schnoebelen teaches on, The Throne of Fools!